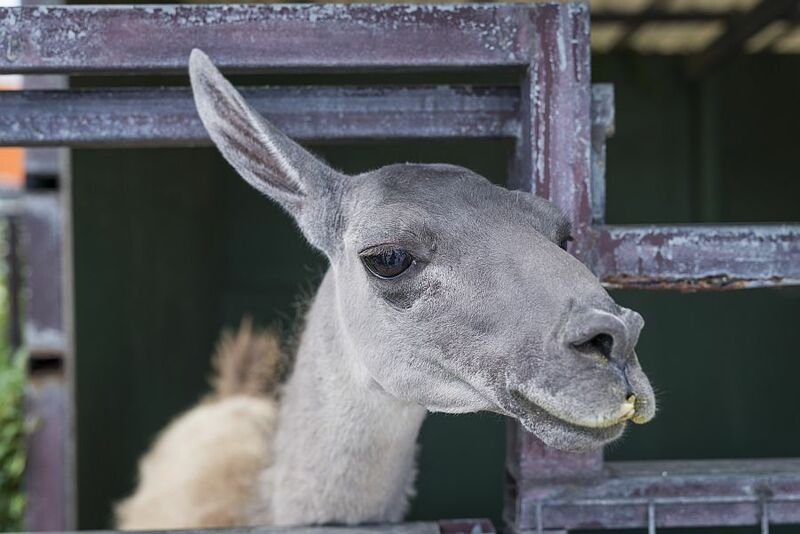 Do you know that there is a small zoo in Uruma? 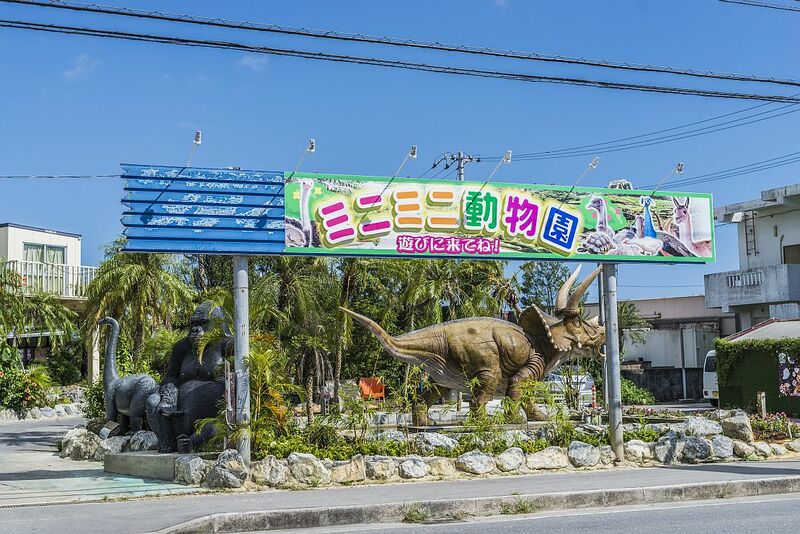 There are gorillas and dinosaurs looking pedestrian behind the bushes of palm trees in the corner of the street where houses and shops of Uruma Akamichi. 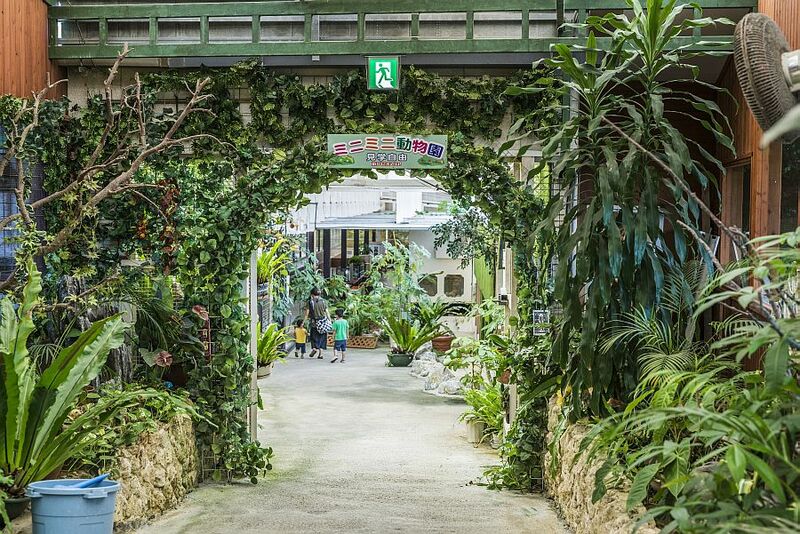 Yes, this is a spot “Mini Mini Zoo” where only few people know. 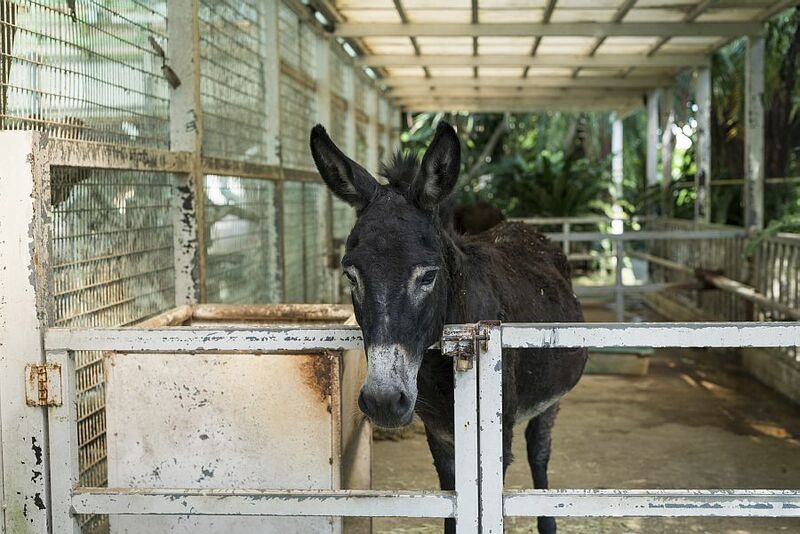 It is a zoo that you can observe animals free of charge though it is a zoo. Well, what kind of animal is there, although it is called “mini mini”? Let’s take a peek into the inside to explore the mystery. Now, it is the beginning of exploration! 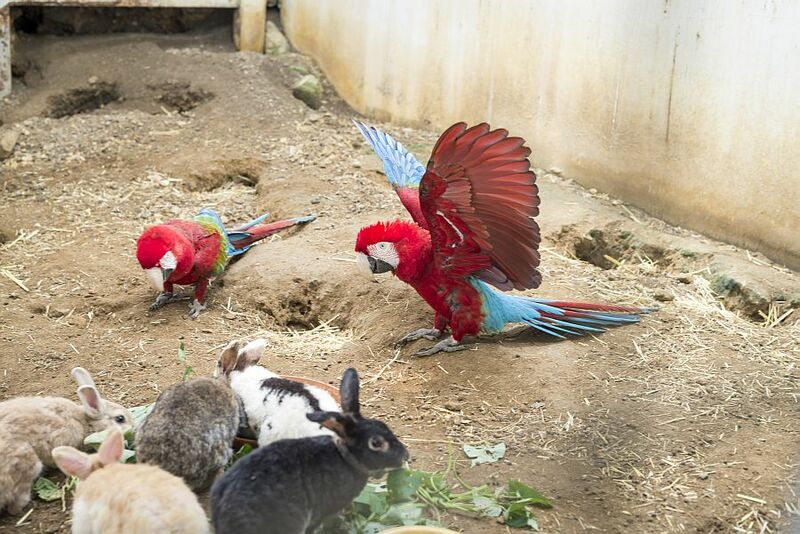 which spread the colorful wings of red and light blue and the small chubby rabbits. that “bird reminds you southern counry” and known as the biggest Macaw in the world. Its average life expectancy will generally be more than 50 years. 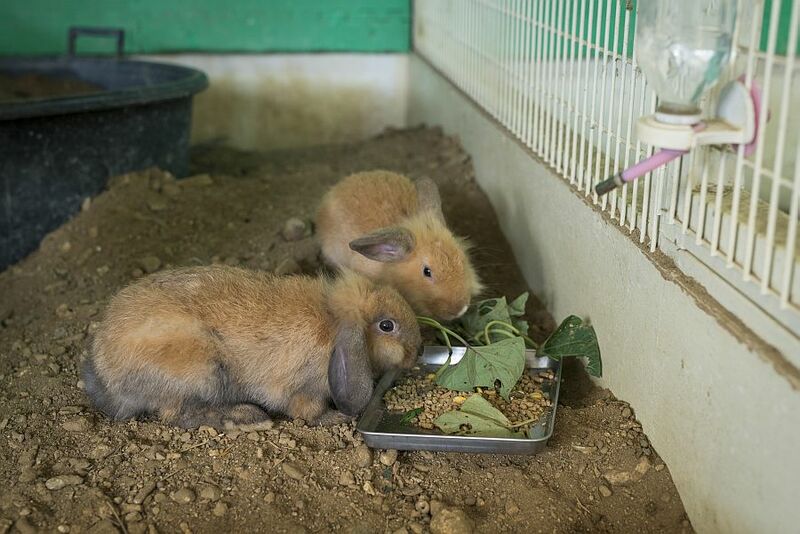 they are temperate personality, so you can see they live with rabbit friendly beyond the species. “Good morning! Good morning!” As I was progressing, somebody called me. 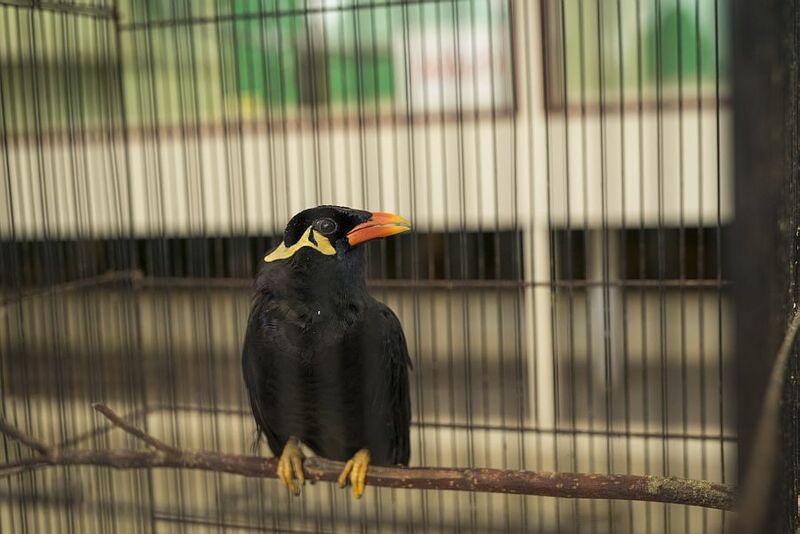 there is a one Mynah there. “Good morning! Good morning!” a high vigorous voice sounds. She positively “greeted me” whether she wanted food or wanted to appeal to her cuteness. A low fence is set up for the small and quiet homes of animals. let’s observe features such as fine expressions and gestures side by side. 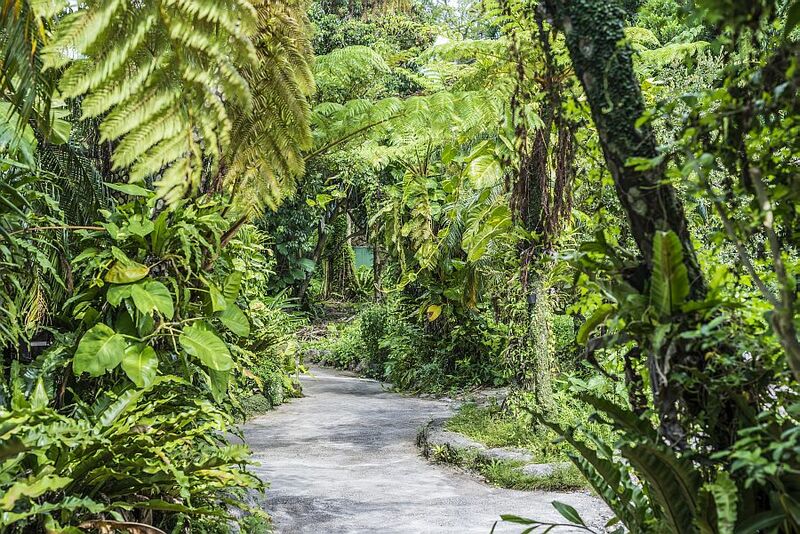 the atmosphere is like an Amazon! This place make us forget that this is the Uruma Akamichi street. In such an environment, animals are going to be comfortable. 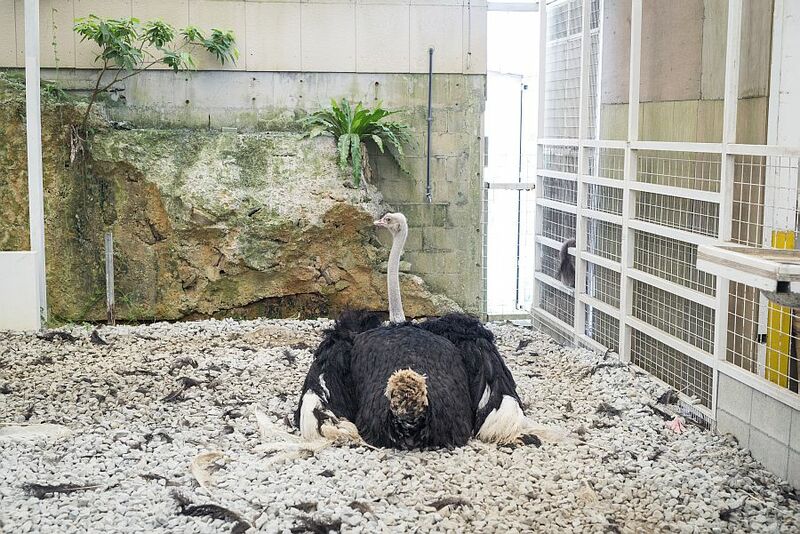 Ostrich is facing the tail and this face without any alarm. and the animals living in the water. “Mini” is only a name, a large site where many animals coexist as a family. 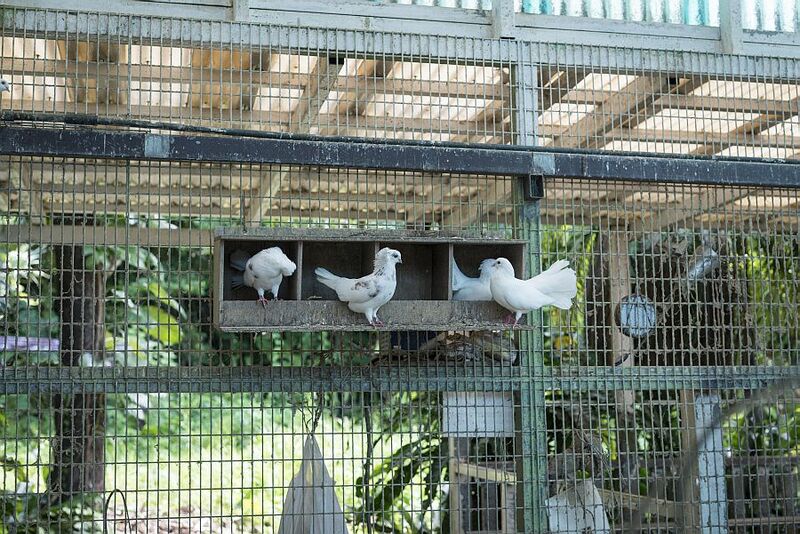 Able to spend a warm day at the paradise of the animals that appeared in the human life sphere. 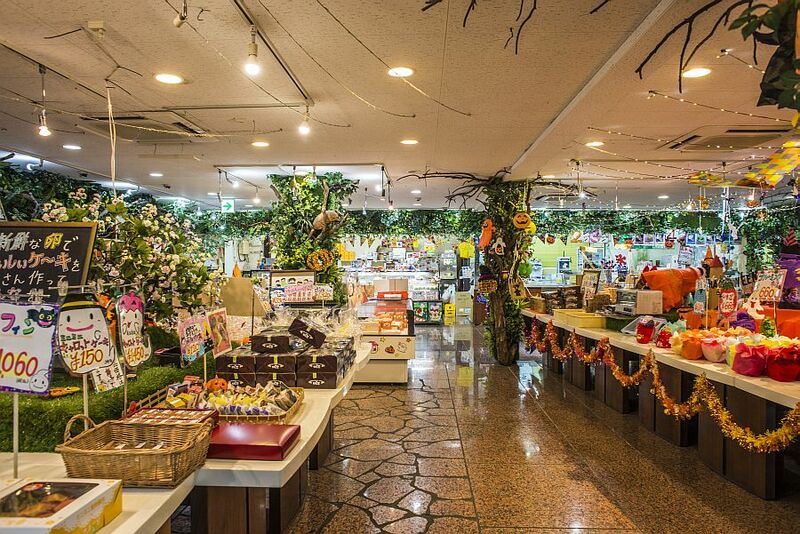 When you finish exploring, go to the sweet shop” Tamagoya ” next to zoo. 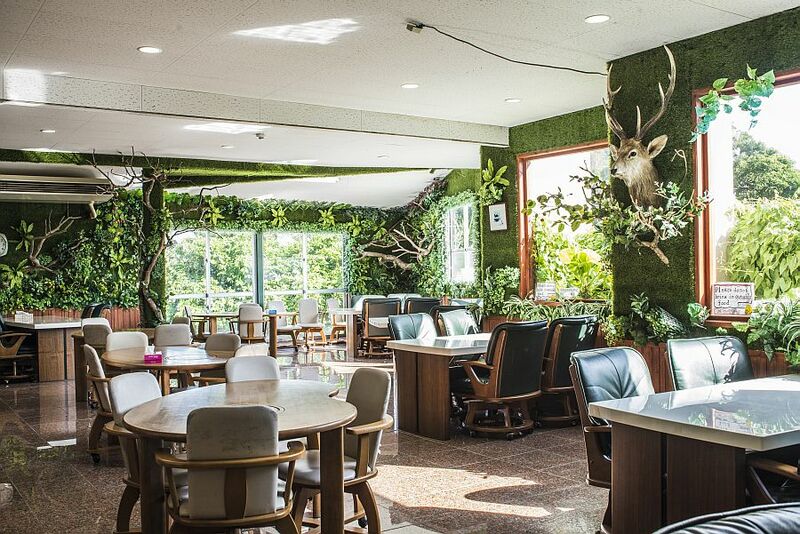 is handling the decoration of the shop where you can feel nature as in the zoo. It seems as if you got lost in “Candy’s Forest” which is “Candy House” that appeared in the fairy tales “Hansel and Gretel”. sunflowers, autumn leaves, etc. Well, let’s have a delicious sweets. 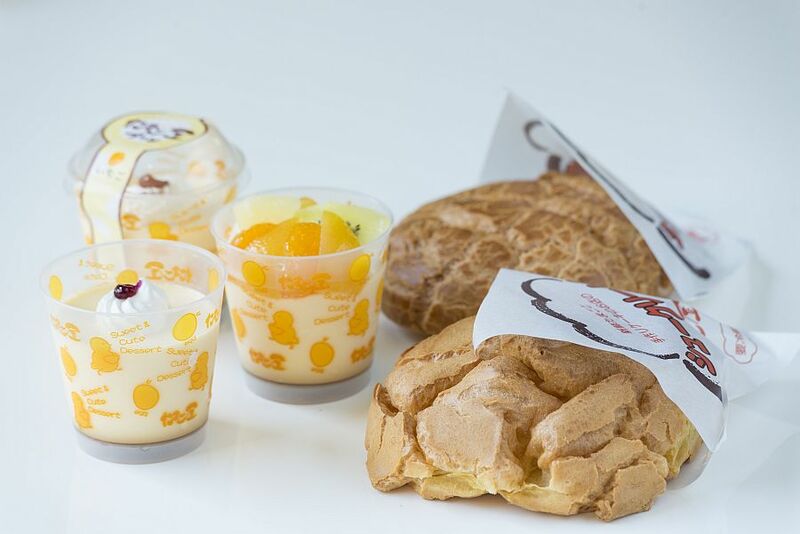 The popular product “Jumbo Cream puff” (right) is a rare square shape in puff cream. it is a big size and heavy feeling just overflowing from the palm! It is recommended that senior citizens and children share and eat. Plenty of custard cream and fresh cream. As the store name, fresh well-feeded eggs. 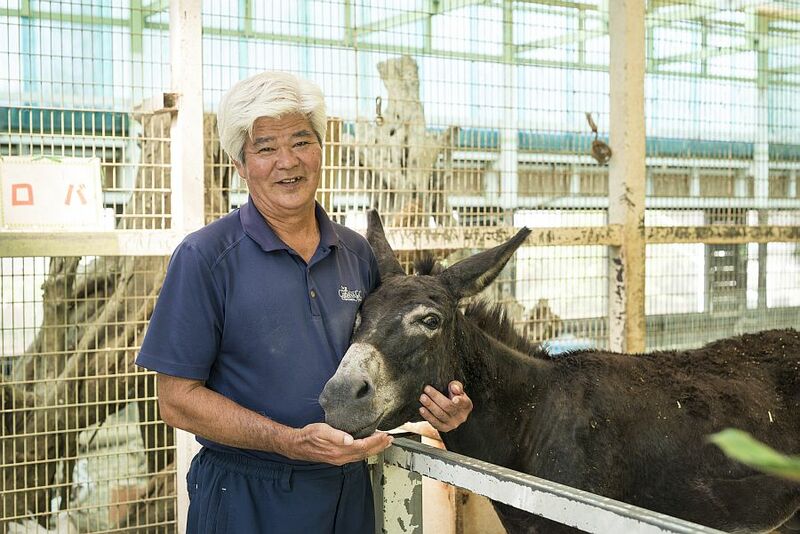 and he liked animals from old days, Mr.Zukeran opened Mini Mini zoo and Tamagoya. so that you can feel the feelings of human beings and animals, which leads to emotional education and communication with your family. 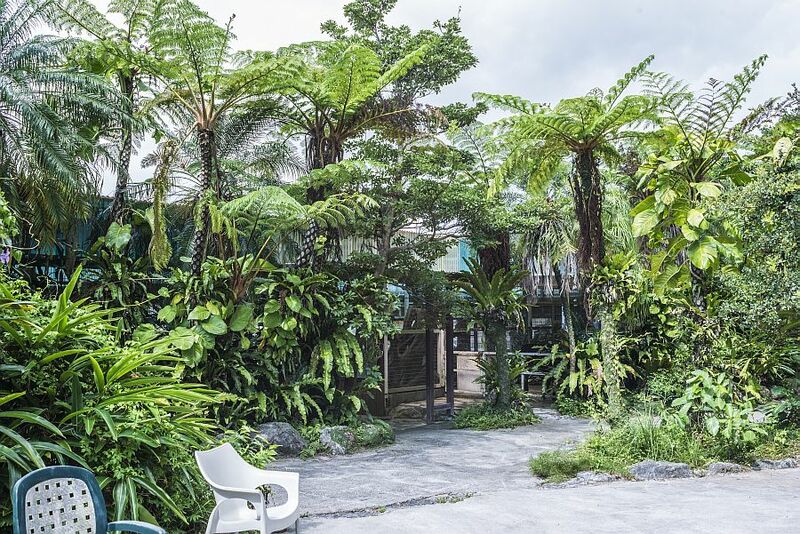 ” Mr.Zukeran made Mini Mini zoo admission free because he thought of children. 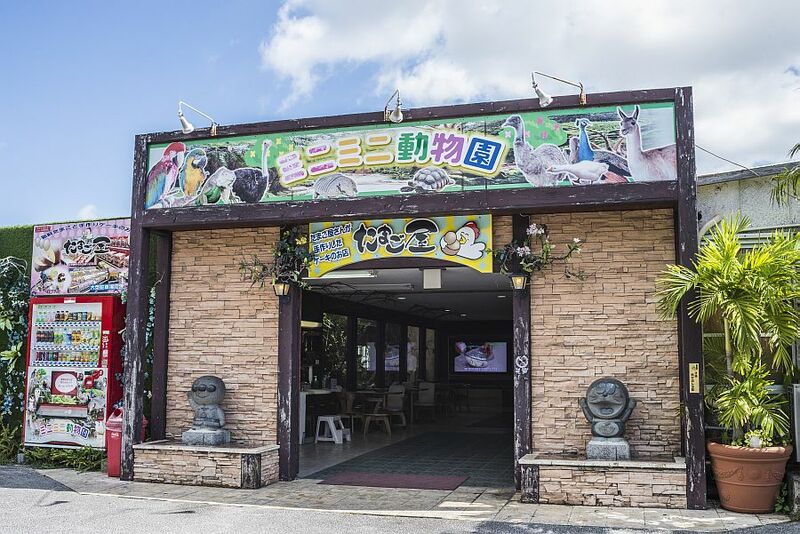 Despite the entry free, Mini Mini zoo that can interact with lots of animals. that lovely animals give a smile to their children and give healing to adults.